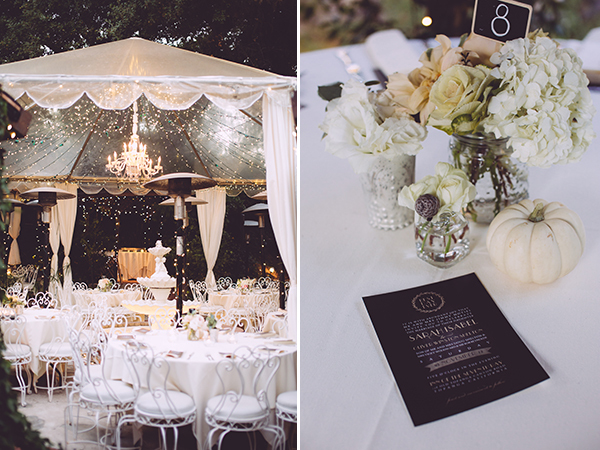 i am so excited to finally share this wedding suite with you all! i got to work with sarah on her save the dates last summer and could not wait to start on the rest of their wedding materials. this couple is so fun and laid back and i had such a fabulous time getting to design the pieces for their "best day ever." 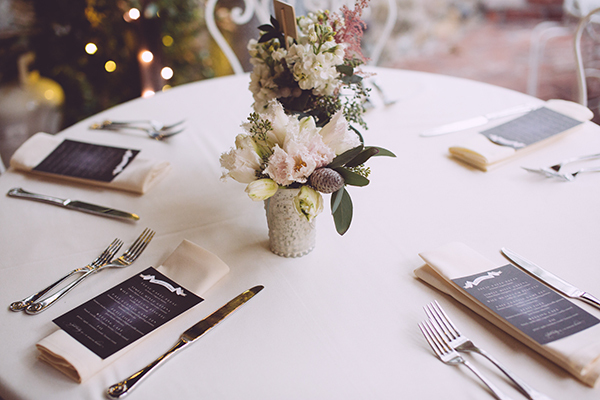 with their wedding being outdoors in southern california, and a request to incorporate chalkboard, we kept the type simple with a touch of elegance in the script font. a laurel wreath with "best day ever" was added to the top to set the tone of their big day. 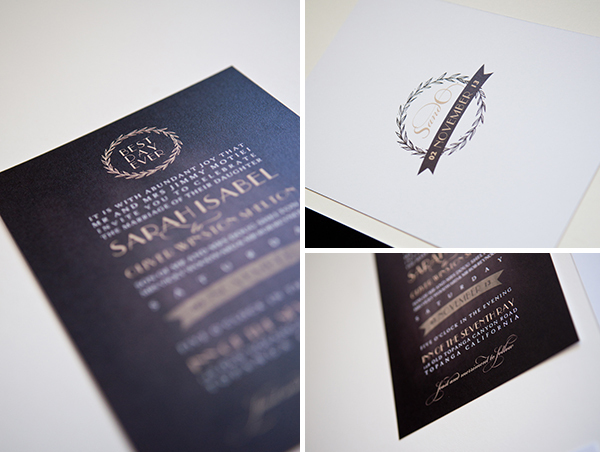 the back of the invitation featured a logo of their initials and their wedding date in a banner. 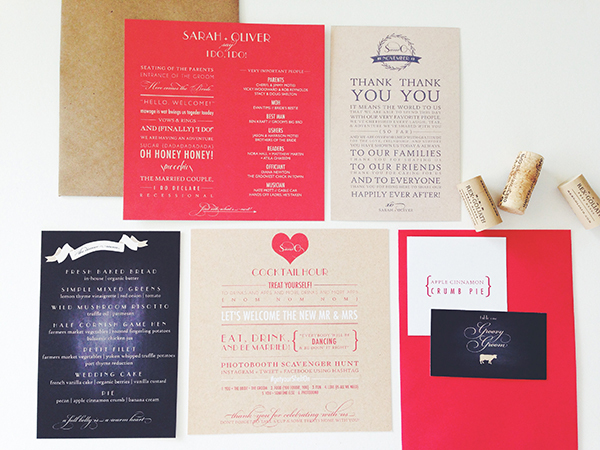 sealed with a custom stamp, this suite was sure to make guests excited about the upcoming celebration. 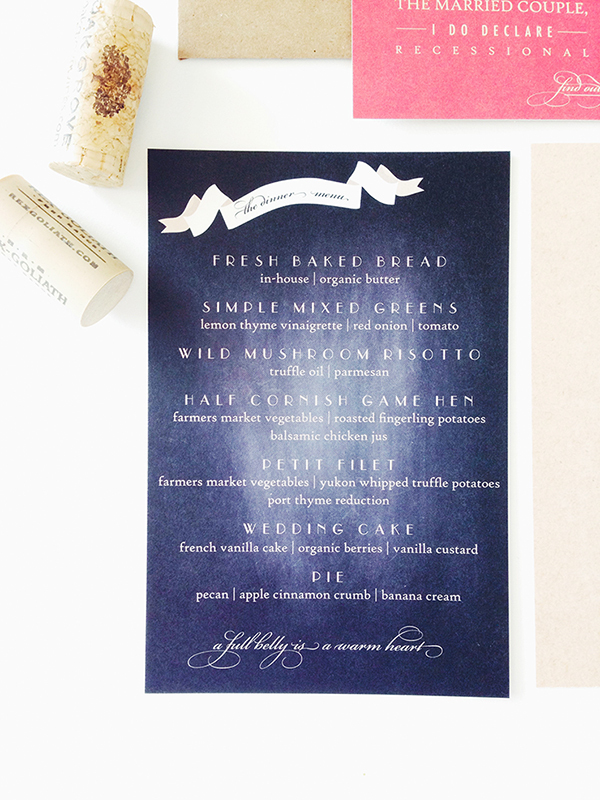 one of my favorite parts was getting to design all of the fun "day of" wedding materials! 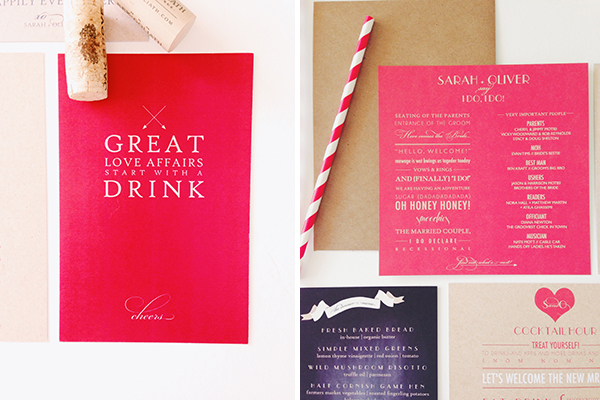 from cups to menus and place cards to programs, every single item reflected sarah + oliver's fun vibe! sarah wanted to mix in red into some of the designs. 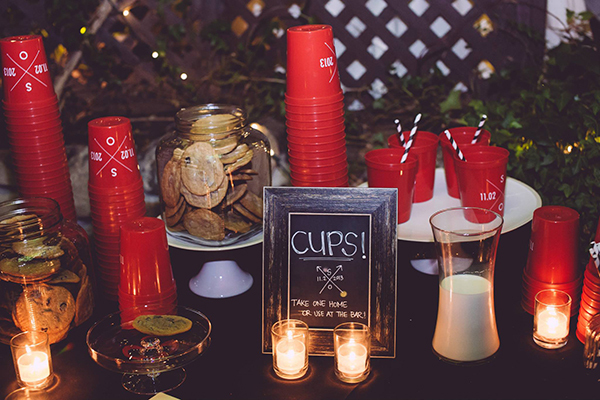 it wasn't a wedding color, but she was wearing gorgeous christian louboutin's for her wedding shoes and her mother was wearing a red dress, so I brought that element into the program, dessert signs and the custom cups. 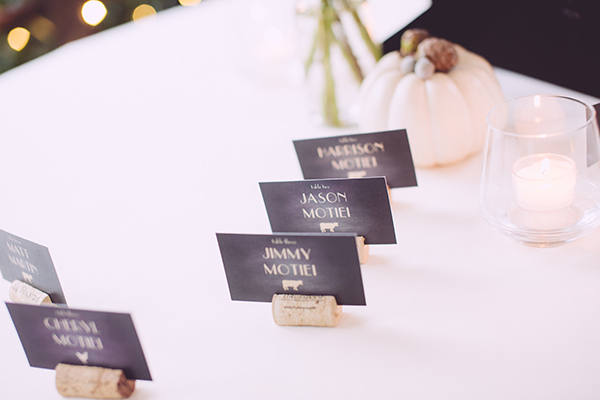 i just love the pop of color and how it compliments the kraft and chalkboard. this entire suite was one of my favorites of all time! getting to work with sarah was such a treat and a fabulous collaboration. congrats again newlyweds!